What has happened to this platform?!?! Very interesting! I was under the impression that each device strengthened the network. If I add the device you mentioned, will the connections start to ease to the repeaters and not directly to the hub? In other words, is your thought that by doing this I will reduce the workload on the hub itself? Is there a wall switch available that does the same thing? I actually have a need for those currently. I appreciate this input so very much. only plugged in devices repeat the mesh to save power for battery devices. And even then, it can be product specific. Sengled uses Zigbee, but they don’t act as repeaters. Lightify bulbs also use zigbee, but do repeat the mesh. Not very beginner/user friendly! And Annoyingly, everything is quite protocol specific. Zigbee repeats only Zigbee, Z-wave repeats only Z-wave, and so on. 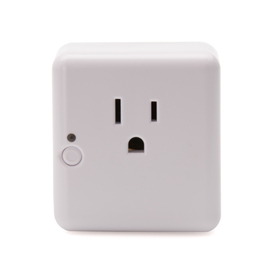 The good things about the Iris outlets is they are rare in that they repeat both zigbee and z-wave. Wall switches will repeat whatever protocol they use. So if you have a need for a wall switch, buy one in the protocol that needs help the most (not sure what your locks are). GE makes both a zigbee and z-wave model that look the same externally, so if you need several wall switches, you could get some of each. And as far as rebuilding your mesh after adding things, that also depends on the protocol. Z-wave there is a repair function you can kick off from the SmartThings app. I see, so I can simply plug in a couple of these wall plugs to quickly strengthen the mesh network. It’s strange that lightbulbs are not repeaters as they do not use batteries. I suppose its part of the price war? I’ll pick up two of the plugs mentioned on here and see if that helps things. I’ll also look for some wall switches in the correct protocol. The main difference between my Ohio house and my Arizona house (I moved 8 months ago) is in fact that I have way more things on this network. Perhaps all along it has simply been too much stuff on the one hub. That should really be documented somewhere - because it would have helped tremendously. As far as whether they need to do that, again, respectfully I would have to disagree. There’s a lot of competition out there now showing that that’s not the only way. Apple HomeKit is one. The new Toshiba Symbio is another. Both of these are slick, sleek, and much easier to use than SmartThings. Both will meet the needs of people seeking “plug and play,” or at least “set and forget,” home automation with simple rules much better than SmartThings. Neither will require professional installation. Both are going to appeal to busy millennials who want the newest tech but don’t want to have to work so hard to keep it running. And both got their stability in the same way: by significantly reducing the complexity of the offering, both in the number of devices that work with it and in the rules you can create. That’s not the only market segment buying home automation, but it’s one that’s SmartThings is now going to have to work very hard to win. They really need both camera and television integration if they’re going to keep up. It seems pretty clear that something has been going on with zigbee sensor reliability on the SmartThings platform over the last 12 months or so. It may be coincidental that it seems to coincide with the introduction of the “device health” feature. Or OTA firmware updates. It may have to do with the fact that there have been at least three and maybe more Zigbee platform changes in that time. It may just have to do with some particular brands and models. But it’s definitely happening. Not because of the number of trouble posts, but rather because of their nature and the fact that so many of them say that they had sensors that worked really well for months and then stopped working. And that the person has been working with support who has not been able to solve the problem. (And the fact that at least in some cases the same sensors don’t seem to have the same problems if they are moved to wink 2.) And that we aren’t seeing the same trouble posts for Z wave sensors. Put all of that together, and something more is going on than user error. I don’t think anyone knows what yet, and I’m sure that in many individual cases we could start with one device at a time and make quite a bit of improvement, but there’s still an underlying issue which is affecting many people. But since it’s also not affecting everyone, there have to be some local issues involved as well. Which could be something as simple as the number of hops. Since SmartThings doesn’t provide us with any network diagnostic tools, there’s no easy way to compare reports for these kinds of details. If your own system is working for you, that’s great, and I’m happy for you. May it be so for all of us as soon as possible. If your own system isn’t working for you, my suggestions would be first to contact support and see what they say. If the troubleshooting they suggest just seems like it will take too much time and effort, maybe it’s time to move onto a different system. There are a lot of alternatives out there now. Each has its own pluses and minuses, but there may will be one which is a better match for you. As long as you buy from someplace with a good return policy, there’s no harm in trying something else to see if it gives you a better experience. In early 2016, I had reached my own maximum frustration point with Home automation. I am quadriparetic, so this wasn’t just a fun hobby for me. Everything I was investing time and money in was for practical reasons. The high maintenance requirements were killing my budget and the instability was driving me crazy. I made two big changes, and since then, I’ve been quite happy with my Home automation projects. First, I realized that in the low-end price range, there are three big features driving home automation systems: stability, supported complexity of the available rules and devices, and low cost. The problem was you could only have two out of three of those. So I needed to be honest with myself about what my own top priorities were. If I wanted greater stability and I still wanted low-cost I was going to have to give up some of the support of complexity. If I still wanted the support of complexity and I want to stay low cost, I was going to have to accept a higher degree of instability. If I was willing to give up low cost, I could have both stability and greater complexity. So it was up to me to decide what my real priorities are. Most of the people in this forum who have stayed with SmartThings as their primary home automation system since 2014 value support for complexity over stability. People like me who have decided that stability is a higher priority than support for complexity have moved critical use cases over to a different platform. You can be happy either way, but the first step is to decide for yourself what your own priorities are. The second thing that made a huge difference in my own satisfaction with my home automation projects was to change how I looked at my investment. Up until early 2016, I had thought of home automation as being similar to home improvement, where I would invest quite a bit of money upfront and then I would have features that would work for 10 or 15 years. The problem with that was how rapidly everything kept changing. there were no voice assistants for low-cost home automation that actually worked when I started buying stuff. But within two years that had become a minimum requirement for me. There was always new and shiny stuff to buy, and it was impossible to “futureproof” what I had. I made the decision to begin budgeting for home automation the same way I budget for mobile phones. Any individual piece I buy, including the hub, I expect to last for three years. And I set up a monthly budget for how much I’m willing to pay for the overall project. So when I go to buy anything new, I look at how it will fit into that monthly budget given that I expect it to last three years. And whenever shiny new stuff comes on the market, I look at where I am in my expected replacement cycle for my existing stuff, including the hub, and that factors into whether I’m going to buy the new stuff or wait. This approach has saved both my wallet and my sanity. I don’t go crazy buying all the new stuff, but I watch trends, and I plan potential future replacements. I don’t feel I failed if I do have to replace something, even the hub, as long is I came close to my initial cost projections. And I don’t expect any of these technical devices to last for 10 years. If they do, that will be great, and it will be a bonus to my budget. But all I need it to do is to be a satisfactory purchase for three years and then if I want to move on, I will. None of the companies providing goods and services in the home automation space are going to stand still. Some of their offerings will get better from my specific point of view – – some of them will get worse. But I no longer feel locked in. And I no longer even care very much whether it’s a proprietary technology or an open standard. If I will get my money’s worth out of it with three years of use, that’s good enough. If then there is something better on the market, I can move. I suspect that’s how a lot of millennials will look at home automation technology. We know they’re more willing to replace streaming boxes and even televisions for models with new features than older generations. But regardless of your age, I think thinking about home automation technology the way we think about mobile phone technology will make it easier for us as individuals to come up with personal strategies to deal with the rapid rate of change in the industry. And because so much of this depends on our own personal priorities, as well as the specific needs of our households, I definitely agree that no one company/system is going to make everyone happy. Choice is good. It’s going to be interesting now that Samsung has announced at CES that this is a basis for all devices they build going forward, and 100% implemented by 2020. They, finally, will “own” the whole shebang under the glare of the tech community. ST has gone from (I think they said) 15k users to over 1M since they bought it. They will get no slack considering all the competition. I am eager to know what ST is going to be even as soon as this time next year. They didn’t actually say the current platform based on the SmartThings hub is going to be what everything will be based on. They said everything will be called “SmartThings” and everything will use the same cloud, but it’s not the cloud that we use today for the hub. Instead, hub functions are being migrated over to the new cloud, that’s already in beta and has been discussed briefly in these forums in the past. Nicely put JD. I’m on board with the majority of your commentary (especially the closing remarks regarding tech lifespan expectations. I really feel the industry will continue three to four years of rapid growth before a potential leveling off. At some point, I’m worried that internet providers will be forced to significantly throttle bandwith and smart home tech will have to evolve again or become even more a luxury offering. I personally have been lucky and have not seen nearly the levels of frustration and inconsistency so many people on this forum have stated. I have 150-160 devices (thank you Lowes script days…I’m forever in your debt), where 145 of those devices never skip a bit, miss a routine, or fail to signal an action properly. However, I have an extremely dense mesh of zigbee, zwave devices, and very maintain a strong (and consistent) wifi. Let’s just hope as Smartthings and tech evolve, the early adopters are not the ones punished for doing so. I still have such a bad taste in my mouth after the shenanigans Canary pulled, another platform screw job might just send me over the smart home cliff. We’ll see. They addressed bandwidth issues as well. They expect a lot out of 5g and yes, I know that will take a while. Anyone interested should watch the whole presentation themselves, though that takes some willpower at points. All the manufactures have big big plans. @JDRoberts, I have only been a short while but I have been impressed with your knowledge and dedication to this forum from my day 1. I am clearly not in your boat and am here for the tinkering with convenience in mind. Stability is important, but not critical. My HA design philosophy is that all components must be fully functional without smartthings. All my bulbs can be controlled by switches, either hardwired Z-wave or Hue integrated switches depending on the application. My HVAC controls are all Ecobees with Ecobee sensors. I dont cross my platforms. If SmartThings goes down, everything is still functional. Your analogy about the low cost, complexity and durability is absolutely true and applicable to almost every segment of our material lives. In engineering, we use budget, quality and schedule. Different vocabulary, same theory - you can only control 2 and the 3 one determined. Need quality and schedule, you will pay for it. Need quality and budget, you will wait for it, etc. Im curious what platform you have moved on to, but understand if you don’t answer that curiosity here. On the investment/budgeting, you are absolutely correct. I have tinkered with home automation since the X-10 days. Nothing in this market is long term…nothing. Dumb LED’s may last 10 years…smart LED’s will be obsolete much quicker…or at least become dumb ones. We need to look at this as computers and smart phones and realize these items must be updated and/or replaced on a regular schedule. Again, this is why I stick to Z-wave protocols as much as I can - its a standard that has been around for a long time and I will always be able to find a platform that will support it. As far as new stuff goes, I try not to be an early adopter. I was an early adopter on Hue bulbs and then I doubled down on it last year thinking surely they had to have improved the system by now. Maybe for the masses, but not good enough for me. We certainly agree on most of the philosophy than disagree, but your last statement, “Choice is good” nails it. There is many of us who have dabbled in this niche for two decades and it is finally getting serious with good solutions. I am an engineer by trade, not a coder and that has always limited how far I can go. The new direction is finally given us more opportunities to buy market products that previously only a few could code for themselves. I’ve ordered Zig Bee plugs, per recommendations. They arrive later today and I will update everyone accordingly on the stability. I do not have any of the Lowes Iris Smartplugs, however I do know early on to use them as both a Z-Wave and Zigbee repeater a special Device Handler was required. Not sure if this is still the case or not, but thought it was worth mentioning since you are specifically adding these for mesh network repeater capabilities. Others who may know better, please chime in! Just remember, after you have added those new plugs to SmartThings, immediately perform the process referenced above that will result in a “Zigbee Heal” to occur. This process as documented all over the place, could take up to 24 hours to complete. It will be transparent to you, but to see results, have the expectations of waiting a day or two without messing with anything else. One step at a time. have 35 ish devices. I am running GB network (Cox Gigablast). I have Orbi network. the remaining are almost entirely Sengled smart bulbs, however I did purchase 2 GE bulbs and 1 Cree bulb to see if it were product related. They also will disconnect. I’m curious what platform you have moved on to, but understand if you don’t answer that curiosity here. There’s no secret about that, I’ve mentioned it elsewhere. I now use HomeKit for simple things like “turn the porch lights on at sunset” or “turn on a set of lights when a motion sensor is triggered.” All of my Lighting devices (Lutron Caseta and the Philips Hue bridge) work with both HomeKit and Alexa. Simple, solid, and reliable. I still use SmartThings for complex but not critical notifications like a reminder that the guestroom window has been left open when rain is expected and the guest is away from the house, because it just does that better than anything else in its price range. While it could be that the OP’s problems are just a matter of mesh strength, and it never hurts to try and troubleshoot individual devices that way, the fact that they have already been in touch with SmartThings support and already tried multiple things that support suggested implies to me that it’s probably not simply mesh strength. It is certainly the cheapest, fastest initial test. The only difference (I say that lightly, since the major difference is a new home in a new state) is I have grown my number of devices. I do only have a single hub and no repeaters on my network. Worth a shot. As usual, you are correct JD. Although after working in customer support myself for over 15 years, I guess, I just have less faith in support organizations than most. I think I’m just getting old and jaded. Make sure you read the thread that JDRoberts pointed you to in it’s entirety, but to give you a very quick and dirty for the Zigbee specific portion, here is a simple rundown. If and only if after you have performed your Zigbee Heal and waited for everything to shake out with that process. If you are still having issues, the problem could be interference between your Wifi 24.ghz channel and the assigned Zigbee channel in SmartThings. Login to your Router and see what current channel is set to, not from the config page, but from the actual wireless for 2.4ghz and what it is currently using. Most people have this set for Auto, but in another screen it will show like Auto (11) which 11 will be he current channel. To find out the assigned Zigbee channel assigned by ST, login to the IDE at https://account.smartthings.com and goto Hubs and scroll down to Zigbee and note the channel. Now compare the wifi channel and the Zigbee channel to the graph above and if they are sitting on top of each other, then you may have interference causing your devices to go haywire. If you are on wifi channel 11 and Zigbee channel 11, those two would be the furthest apart and have the least chance of ever interfering. If after performing your Zigbee Heal, if you are still having issues and you see that your channels are overlapping, you can modify your wifi channel further away from the Zigbee channel. I don’t recommend channel 1 as this may cause a different case of interference with other routers in the neighborhood running on channel 1 and within range of your router. The real question would be how far away are the sensors that are proving unreliable. If you have some within 40 feet of the hub that are unreliable, it’s unlikely that repeaters will solve the issue.